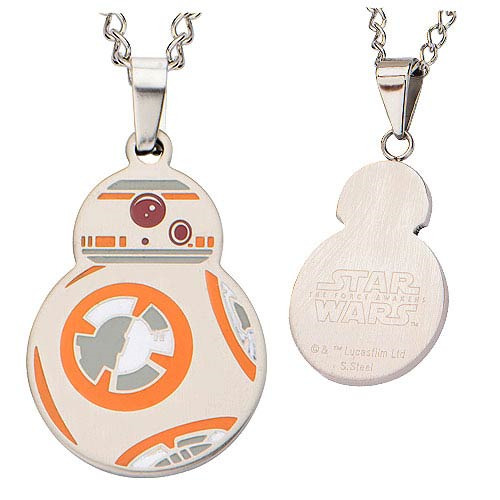 Show your love for Star Wars: Episode VII - The Force Awakens with the Star Wars: Episode VII - The Force Awakens BB-8 Cutout Stainless Steel Pendant Necklace. The pendant measures about 1 3/8-inches tall x 7/8-inches wide. This beautiful necklace is made of stainless steel and includes a 22-inch chain. Get the Star Wars lover in your life this awesome piece of jewelry! Ages 13 and up.